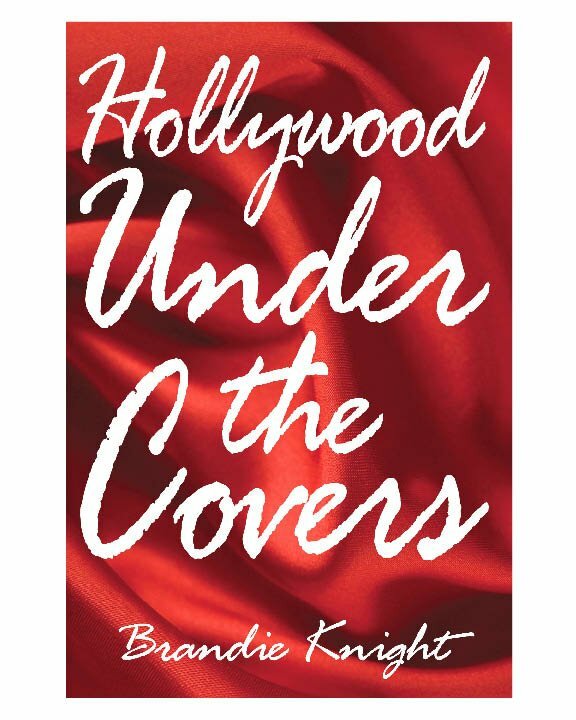 Enter To Win Brandie Knight’s ‘Hollywood Under The Covers’! Hey there all you kool kats, I hope you had a great Memorial Day Weekend. I know I did. And I hope you’ve still got some party energy in you because the fun hasn’t ended yet. I’m talking about a contest, people. Yeah, baby! And the prize is a really great one. I can say that because I know it to be fact. I’ll prove it to you tomorrow – in the meantime, check out the contest. Today we are starting the month with a book contest. Our guest author is Brandie Knight, author of Hollywood Under the Covers and she will be visiting today and tomorrow. We will be giving away a copy of her book at the end of her stay. To become eligible to win, all you have to do is ask a question or leave a comment on both days. One lucky reader who comments with their email address is put in a pot to win the book. However, they must sign up for email updates prior to the author’s appearance. Be sure to check back later today for Brandie Knight’s greats answers to a few of the questions I was able to ask her. And of course, tomorrow, for the second half of the contest. previous post: Heidi Montag And Spencer Pratt Split. For Reals. next post: A Few Questions For Author Brandie Knight. And Her Answers. Thank you, Hilary, for kicking off my virtual tour! I look forward to answering questions and reading comments. I will stop by throughout the day. Sounds like it’s a great book! I’ll have my full review of the book tomorrow. I’m definitely going to be reading it again! The book sounds really interested and perfect for reading while lounging by the pool! Can’t wait to read your full review Hil!! I need to win so I can have a good read on South Beach. Your site looks great by the way! Do you know why Al and Tipper Gore are splitting? It would be PERFECT for South Beach! I do not know yet why Al and Tipper are splitting, but it certainly took me by surprise. Almost exactly a year ago their daughter divorced her husband so maybe she convinced her mom to do the same? Who the heck knows with political marriages! It (me) needs a lovely book to read by the pool that contains juice like this! Oooooh….Hil! This book sounds JUICY!! Yes, it is a very juicy read. So much so, that I have included the following warning on my book trailer video with humor and sincerity. Author’s Warning: Do NOT read this novel if you are easily offended, related to the author, or under 18-years-old. By keeping the material as close to the truth as possible, the adult content is explicit and may be offensive to some people. I love juicy details! “related to the author” – haha, that’s great! I can’t wait to read Hilary’s review of my book tomorrow as well! I enjoy reading feedback about my book. Hmmmm… will she rant or rave about it 🙂 I briefly met Al Gore when he was promoting his documentary. The reports are claiming after 40 years of marriage, they grew apart. Tipper is dealing with depression and Al spends most of his time on the road and away from home. It’s always a shame to see a 40 year union end. I wish I had time to read books…..two small boys keep me from that! Good question. If I named the guilty people that I write about, yes, I would be shut out of Hollywood. I have changed the years and dates that events have happened and a few other details to keep the celebrity’s identities protected. I have only had a couple of scandalous people who said they no longer can take my calls in fear that I will write about them and tell all. They don’t realize that I have twenty years worth of stories to tell already. They can’t hide from me now. LOL! So if I don’t win, where in the Bay Area might I expect a copy to be available at? Brandie I was wondering why you decided to write the book now after being in the industry for 20 years? Was there something specific that made you write or have you always wanted to and finally had the time?? Great question. As a teenager, I was introduced to author Jackie Collins. After reading Collins’ books, I knew that I wanted to become a Hollywood novelist. The old saying goes, “Write about what you know.” In order to accomplish my goal, I needed to work in the entertainment industry and live the life. Once I became an insider, I started keeping journals and documenting the crazy and unbelievable lifestyles of people in the entertainment world. I ended up staying very busy with little time to write. I finally took a break from the industry to focus on my original goal. Hollywood Under the Covers is the first of many novels. I’ve already been approached about turning my novel into a movie, which is very exciting. Brandie, that is good to know! Knowing that you most definately have my support. Do you have any book signings scheduled? I appreciate the availabilty of a signed copy but personally that’s just not personal enough for me. I think it is amazing that you went into the industry with the intention of writing a book. I would think that it would cause you to constantly look at situations around you differently then most people. How interesting your journels must be and to reread through them inorder to write your book, to see how you looked at things twenty years ago must have held a lot of entertainment for you. I am traveling today and my internet is going in and out 🙁 I will be back this evening to finish answering questions. Thanks so much! Hi Rhobby, I believe my book tour will bring me the Bay Area after Los Angeles, which will be August or Sept. The schedule is still being set up for the west coast. You can keep up with my tour from my Facebook page or email vegasrev@brandieknight.com with your city (as a reminder) and you will be notified when I am coming to your area. Thank you Hilary for hosting and opening Brandie Knight’s virtual book tour. Thank you to all those who stopped by to comment. You’ve been great in promoting this author. Pick up a copy of Hollywood Under the Covers. Enjoy! 55 queries in 0.660 seconds.